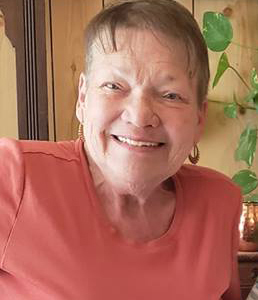 Margery Lee Robinson Hester, age 73, of Coleman, died Saturday, December 1, 2018, at Coleman County Medical Center. There will be a visitation from 10:00 a.m. until noon on Tuesday, December 4, at Stevens Funeral Home, 400 W. Pecan, Coleman. Memorial service will be held 1:30 p.m. Tuesday in Stevens Funeral Home Chapel with Rev. Tracy Baker, pastor of United Christian and Presbyterian Church, will officiate. She was born Margery Lee Robinson on March 3, 1945, in Miles, Texas, a daughter of William Ernest Robinson, Jr. and Alta Florene Pippin Robinson. Since her father was in the military, she lived in many different places, including Wichita Falls, Bandera, Hondo, Florida and Alabama. She graduated from high school in Dothan, Alabama and attended the University of Alabama. She later received her Bachelor of Science degree in Education from Texas Tech University. She was married to Perrin McDow Hester for 15 years. In 1985 she moved from Murfreesboro, Tennessee to Lubbock, Texas, and then to Coleman in 1990. She taught for many years at CAP High School and then later at Coleman High School. After retiring from teaching, she continued to be a substitute teacher for the Coleman ISD until May of this year. She was a member of the United Christian and Presbyterian Church. She was a very creative person who enjoyed building doll houses and miniatures. Margery also made and collected dolls for a number of years. She was a talented needle worker. Survivors include two children, John William (Jack) Hester and wife Ami of MacDill AFB, Tampa, Florida and Kimberly Hester of Austin; her mother, Florene P. Robinson of Garden Ridge; two brothers, William Curtis Robinson of Lubbock and John Patrick Robinson and wife Michelle of Spring Branch; one sister, Rosemary R. Williams and husband R. Lee Williams, M.D. of Garden Ridge; six grandchildren, Madeline Brie Huffstetler, Zackery Theron Hester-Payne, Julianna Abigail Kincaid, Aubrie Hernandez Hester, Jaxon Hester and Rylee Hester; two nephews, Curtis Ryan Williams and Harrison Davis Williams. She was preceded in death by her father, Wm. “Bill” Robinson, Jr., and a grandson, Ridge Hester.